Teaching kids to read is by far the hardest task I've ever encountered as an educator. 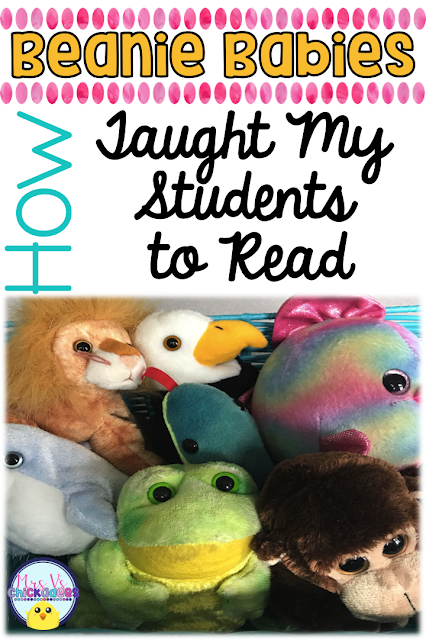 That is of course until I started using Beanie Babies in my daily reading instruction. Below is how I created a sense of enthusiasm and excitement within my little learners, while simultaneously teaching them the most important reading strategies necessary. So here is how it works. Each Beanie Baby represents a specific reading strategy that is necessary to decode tricky words. 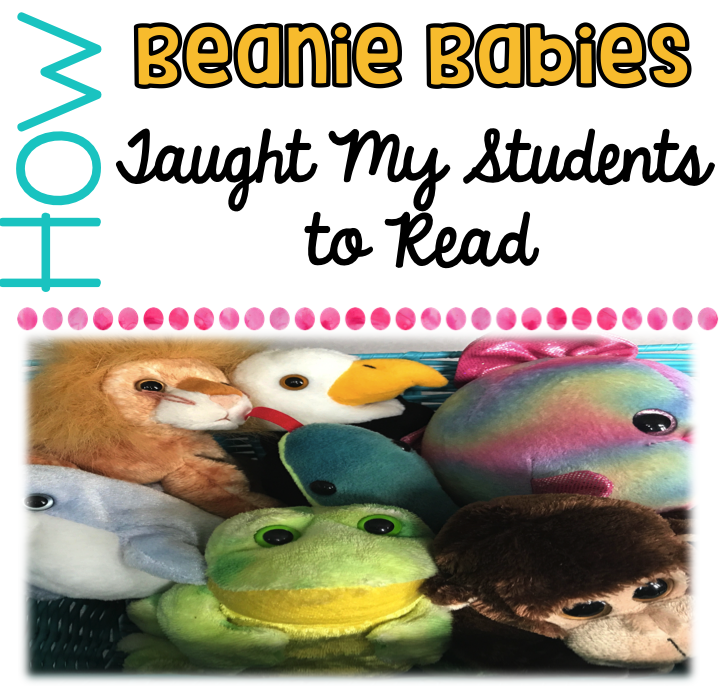 The Beanie Babies are slowly introduced, starting with the easier decoding skills for non-readers and moving towards the more challenging skills. I refer to them as our "Reading Buddies" and students know that they are here to help us. When a new strategy is taught and modeled, the Beanie Baby comes out. From that point forward you can keep it visible during Guided Reading lessons to serve as a visual reminder for students. My class absolutely loves our Reading Buddies. They get so excited to use them and to master them so they can meet even more. It creates an immediate sense of excitement towards reading. The Reading Buddies we use are Eagle Eye, Lips the Fish, Stretchy Snake, Chunky Monkey, Tryin' Lion, and Skippy Frog. 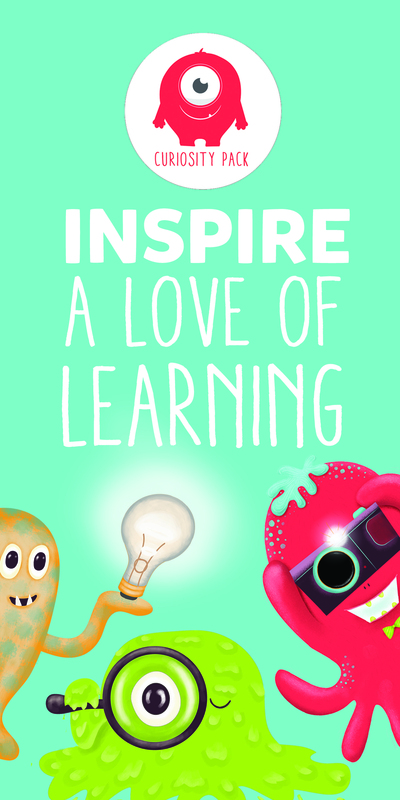 Keep reading to see what each Reading Buddy teaches students. Eagle Eye teaches students to look at the picture clues to help figure out the word. This skill is necessary for students with limited letter sound knowledge. It allows them to use illustrations to support their reading. Students who would rely on this strategy are typically reading books that follow a pattern. For example, their text may read like this; "I see a cat. I see a dog. I see a frog." Once they have mastered the pattern, they can rely on the pictures on each page to figure out the unknown word. If you're looking for more ways to incorporate Eagle Eye into your groups, check this out. Lips the Fish teaches students to look at the first letter and get their lips ready to make the sound. 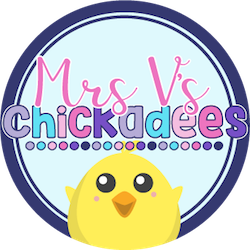 This skill is great for children who have learned their letter sounds individually but aren't quite ready to start blending them. This is an important skill because it builds upon Eagle Eye. For example, if the tricky word is "plane" and they look at the picture to help them, they might say "airplane." However, Lips the Fish encourages them to use the initial consonant to correctly decode the word. If you're looking for more ways to incorporate Lips the Fish into your groups, check this out. Stretchy the Snake teaches students to stretch out the word by making the sounds of each letter. This skill is great for students who are ready to start manipulating and blending sounds together to read words. Chunky Monkey teaches students to look for chunks in the word. 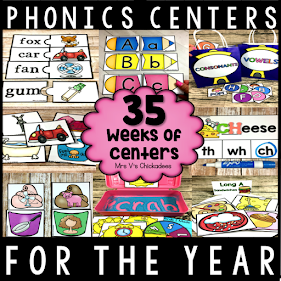 This skill is great for students who are blending sounds in CVC words and showing an interest in sounding out longer words. For example, they may not know the word "small" but if they can read "all" and add the "sm" sound to the front, they can now read the word in its entirety. Tryin' Lion teaches students to try a word and ask "Does this make sense?" This skill is good for students if they have tried all the previous strategies and they still can not figure out the word. It important that they are focusing on choosing a word that fits with the other strategies (the picture matches, has the same initial consonant) and makes sense within the sentence. Skippy Frog teaches students to skip the word and read the rest of the sentence, and then go back to it. This is a last resort, a "when all else fails" reading strategy, BUT it can be successful, and it can be helpful for students! So there you have it! Remember, you shouldn't be teaching these whole class, because the strategies are dependent on the reading abilites of the student. 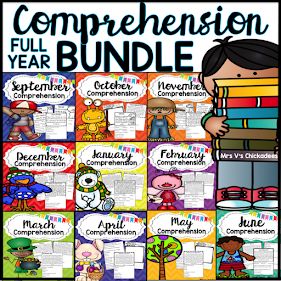 You should be working on these with small groups. Some groups will be working on Eagle Eye while others are continuing to move forward with strategies. Make sure to progress monitor and take anecdotal notes so you know which students and groups are ready to meet their new buddy!